The US Department of Labor released Initial Jobless Claims (Sep 1) on Thursday that showed the impact Hurricane Harvey has had on US unemployment. Initial claims for state unemployment benefits increased 62,000 to a seasonally adjusted 298,000 for the week ended Sept. 2, the biggest jump in more than 2 years. 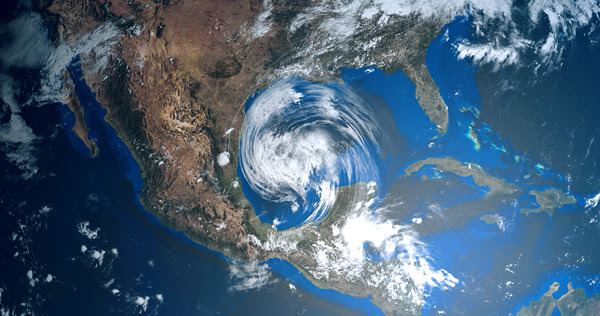 With Harvey causing heavy flooding, which disrupted Oil & Natural Gas production, resulting in the temporary closure of Gulf Coast Refineries, Texas saw an increase in Americans seeking unemployment benefits. With Hurricane Irma expected to make landfall in the US on Saturday, markets are concerned what devastation Irma may cause in a region only now starting to get back on its feet. The ECB Rates decision was no surprise to the markets, keeping rates unchanged, on Thursday. However, ECB President Draghi commented that the ECB was looking at how to wind down its €60 billion a month buying program, indicating the decision will be made in October. With no foreseeable end to Eurozone stimulus, Eurozone Bonds were bought, along with EURUSD which surged higher, reaching a high on the day of 1.20593. The US Energy Information Administration released data on Thursday that showed US Crude Inventories increased by 4.58M last week – the most since March. With a large number of refineries inoperable, because of Hurricane Harvey, the markets were expecting a buildup in inventories. These inventories should reduce as Gulf Coast refineries are coming back online, but the impending arrival of Hurricane Irma could slow, or potentially stop, this progress. Federal Reserve Bank of New York President Dudley is the latest US central banker to present his views, ahead of a policy-setting meeting later this month. Dudley reiterated the need to continue raising rates while conceding that the Fed may have to rethink its inflation model. EURUSD continued strengthening overnight following ECB President Draghi’s comments. Currently, EURUSD is 0.5% higher trading around 1.2085 – levels not seen since late 2014. USDJPY has weakened 0.6% overnight to currently trade around 107.70 – last seen in October 2016. GBPUSD continues to improve on overall USD weakness. Currently, GBPUSD is trading around 1.3140. Gold reached levels not seen for over a year, on concerns that there may be another North Korean missile launch over the weekend. Currently, Gold is trading around $1,356. WTI initially slipped on the back of the inventories report, but has recovered 0.3% overnight to currently trade around $49.55pb. At 9:30 BST, the Bank of England will release Consumer Inflation Expectations. A somewhat subjective release, as it is based on consumer’s expectation as to how much price of goods and services are likely to change during the next 12 months. Previously the release was 2.8%. 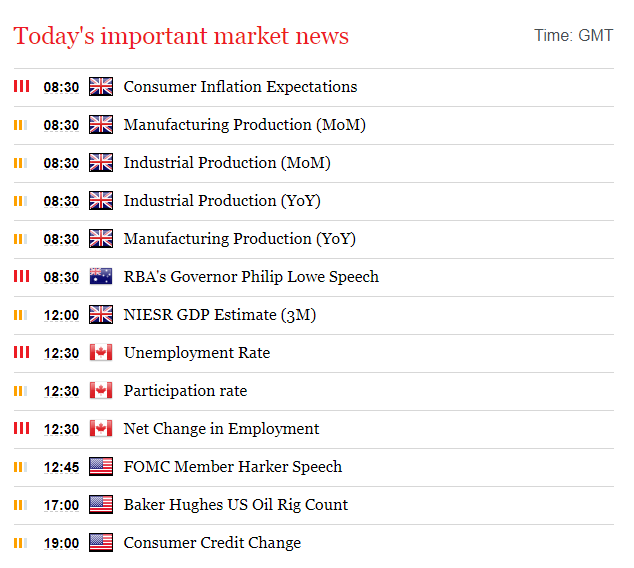 At 9:30 BST, Reserve Bank of Australia Governor Lowe is scheduled to make a speech. Markets will be looking for any clues as to changes in Australian economic policy. At 13:30, Statistics Canada will release the Canadian Unemployment rate for August. With the recent surprise rate hike by the Bank of Canada, the markets will be looking to see any change from the previous unemployment rate of 6.3% and how this may underscore economic growth. More so, will be the Net Change in Employment, that is released at the same time, with consensus calling for an increase to 19K, which could see CAD bulls if the release comes in higher.